Stream anime episodes online for free, Watch One piece Episode 128 English version online and free episodes. Anime Episode guide One piece Episode 128 English dubbed The Pirates’ Banquet and Operation Escape From Alabasta! Luffy is rescued from the collapsed tomb where he fought Crocodile and brought into Cobra’s palace to rest. 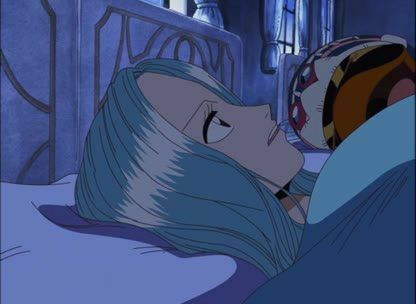 When he awakens, a magnificent banquet is thrown for the pirates, then, the Straw Hats are invited to enjoy the hot spring steam room inside the palace. Igaram receives word that Luffy’s bounty has increased to 100 million Berries and Zoro has a 60 million berry bounty. However, the Straw Hats have already left, having been told by Mr. 2 to meet him to pick up their ship and evade the blockade. They tell Vivi that if she wishes to join, she must meet them in twelve hours.